With other events on in the region we were unsure on the turnout, but as it happens we had great size bunches and a big thanks for those coming out to race, and even more so the helpers who make racing possible. Another good morning had by all…. With some Tuesday night form in peoples legs it was operation eject the sprinters in a fast start. Jack Bennett took the prime, as he so often does and him and Dan used it as a chance to try and work the other guys over. The bunch whittled down to 2 Crit Dwags, 2 Nero and a lone Manly jersey. A strong showing from all involved but it was once again Jack Bennett taking the honours with team mate Dan Bonello celebrating the team work and making it photo for 2-3, just pipping in ahead of an inform Angus Wilson. A big bunch and with the most aggressive rider prize getting allocated in B grade in a hope to see some attaching racing it resulted in a very fast pace and very few moves managing to get any distance from the bunch. It was SUVelo’s Matt Hale who did the early work, showing his desire to race for free next month with the combativity award. 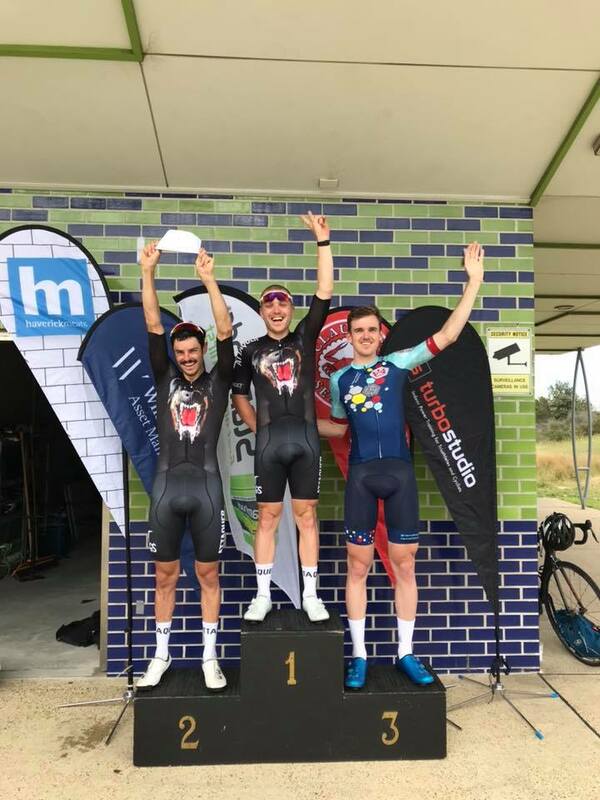 Ben Wray attacked with a lap and a bit to go and for a while looked as though he might have it, but then remembered he is a new Dad and Daddy Watts are make believe, and the bench came back together for the customary B grade sprint…one month guys. It was close on the line for the sprint, but Gabriel got it to round out a strong podium. Another big bunch and some out for revenge after a handicap of horrors for some yesterday. With some string riders the pace was on, Danny Moore making a rare appearance and springing the bunch out on the straight. The riders in Cheeky jerseys were doing their best to get their man on the top spot but it was Alex Henderson who was too good for the rest of the bunch, making the job of the position grabbers easy with a clear sprint win. In the women’s racing we decided to run two distant grades but with an element of handicapping to make the race even more interesting. 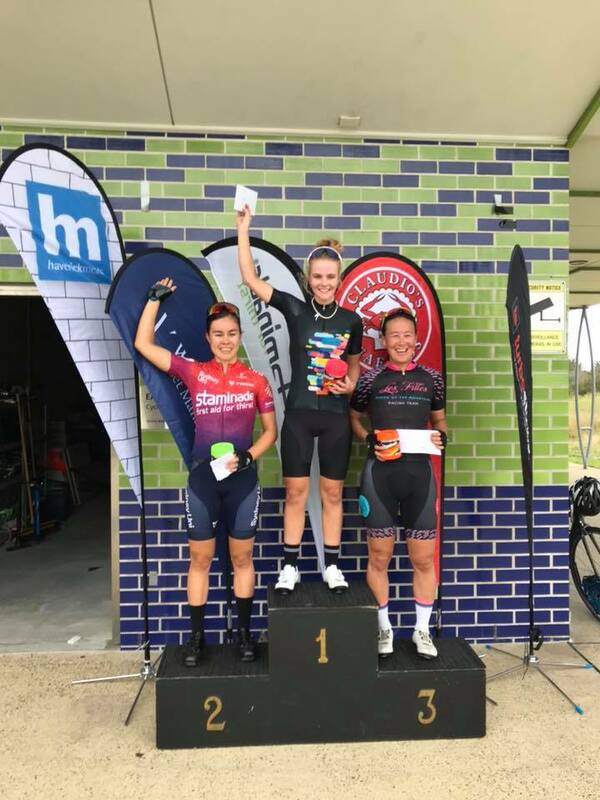 B grade would start half a lap ahead of A, and the bunch which had the lady with the overall win would all race for free next month. As it turns out A caught B with a lap and a half to go and sailed past, allowing the scratch race finishes to be uninterrupted. In women’s A all four worked well, with Gina Ricardo marshalling the troops to make the catch before lining up for the sprint for the narrow part of the track and with the door closed on her somewhat she opted not to take the cyclocross route to the line and had to settle for second with Charlotte Culver taking the win. In women’s B we had plenty of first time racers, fresh from the come and try day last week. A real pleasure to host that and see those come back to pin a number on the following week. As a result we had two newcomers on the podium, with Gabrielle and Eline 1-2 and Rose rounding out the podium. Andrew Duggan, Edel O’Hagan, Cyrille De Baracé and Stuart Hamilton for making the racing possible today. Racing returns after TDU, Sunday 27 January. Have a safe Christmas and hope Santa brings you a new bike.